Tulip Mosaic - Blue - All you need for your home and garden. Stylish designed mosaic products, truly timeless. You may already know that mosaic art was incredibly popular in Italy in Roman times, with its beautiful romantic style still being used time and time again in modern designs. Mosaic may be made with lots of different glass or tiles assimilated into one beautiful piece, but at round shop our mosaic products are more than suited to the changing nature of a garden space. 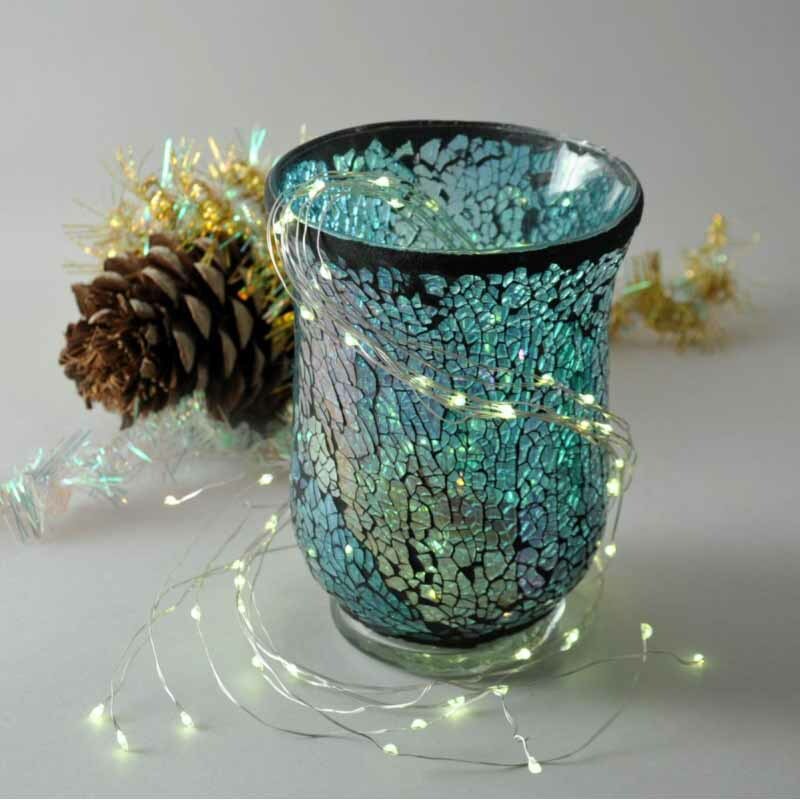 The mosaic lanterns found in this range are incredibly easy on the eye during daylight hours, and when the evening draws in they are equally as eye-catching. 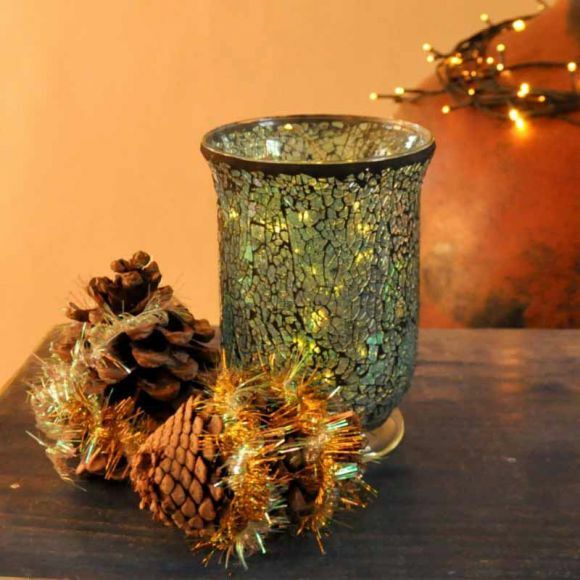 A small candle placed inside will create an ambient glow that will leave your house guests feeling enchanted. 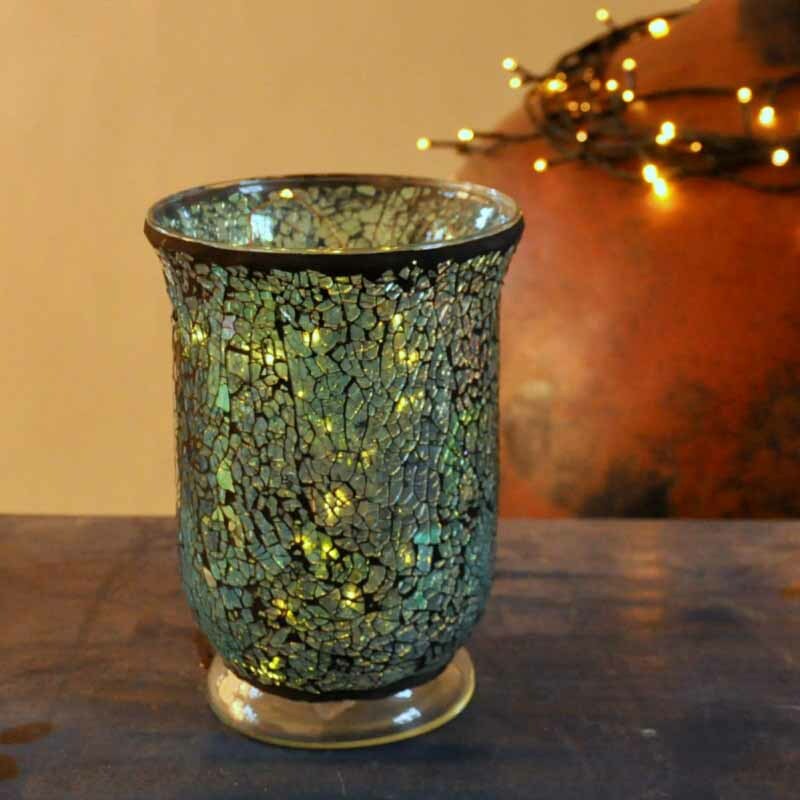 Choose this candle holder to make your garden and home stand out. This lantern is made from Glass. Suitable also for outdoor use.